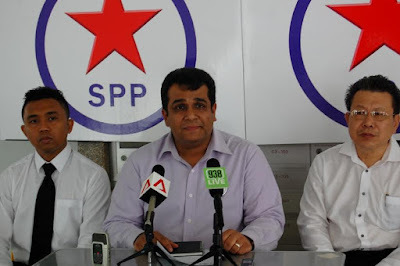 Increase in high-ranking public officers committing graft? The Corrupt Practices Investigation Bureau in its Annual Report said that, "in 2011, CPIB received a total of 757 complaints, the lowest in the last 5 years since 2007". 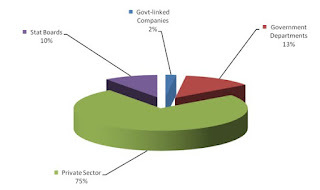 It also said that the "percentage of cases involving employees from the public sector remains low" and in contrast the "private sector cases formed the main bulk of the cases". What the report does not say is, even if the percentage of cases involving employees from public sector remains low, has there been an increase of cases involving high-ranking officials from the public sector? 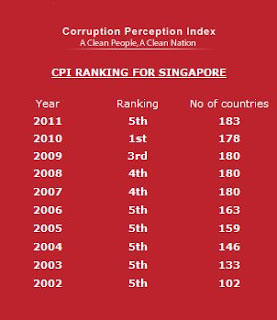 The general public in Singapore has benefited from Singapore's tough, no-nonsense anti-corruption programme, and so has supported the drive to be corruption free, by imbibing ethical values against corruption in their children from a very young age. So, it's no surprise if there is a drop in the number of graft cases year-after-year. Even if the public is generally supportive of the drive against corruption, Law Minister K Shanmugam deemed it important to remind the public recently that there "will be people who, whatever rules you put in, they will look to find a way around the rules and they will fall for temptation. There is no society in the world, in the past or the present, where every person is totally clean". Yes, there will always be people who will find ways around the rules and fall for temptation; but the recent cases of alleged corruption by the likes of former-SCDF chief Peter Lim, ex-CNB chief Ng Boon Gay and the NParks officer in-charge of the Brompton bicycle purchase, seem to suggest that it is the people in top positions, whose better judgment seem superseded by their sense of entitlement and privilege (as suggested by Sudhir Thomas Vadaketh in his letter to ST's Forum). Of course we've had corruption scandals involving public officials like Glenn Knight and Choy Hon Tim in the past; but they were few and far in-between. 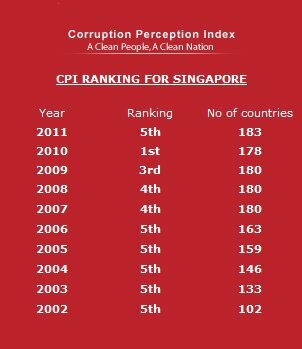 Is this the recent spate of scandals involving top civil servants the reason why Singapore is at its lowest ranking since 2006, in Transparency International's Corruption Perception Index? 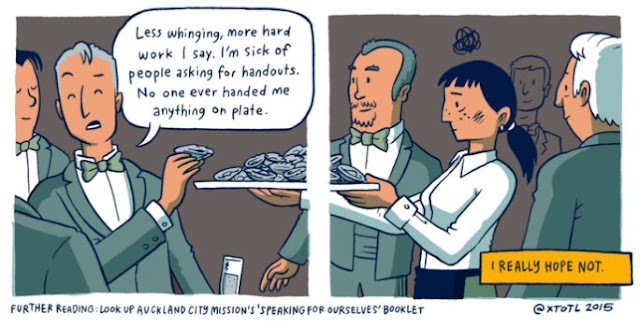 I agree with mrbrown that the CPIB seem to be the hardest working agency this year. But they can certainly do better in statistics presentation.